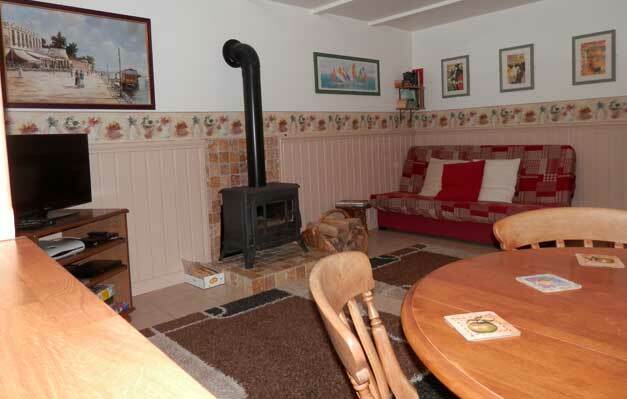 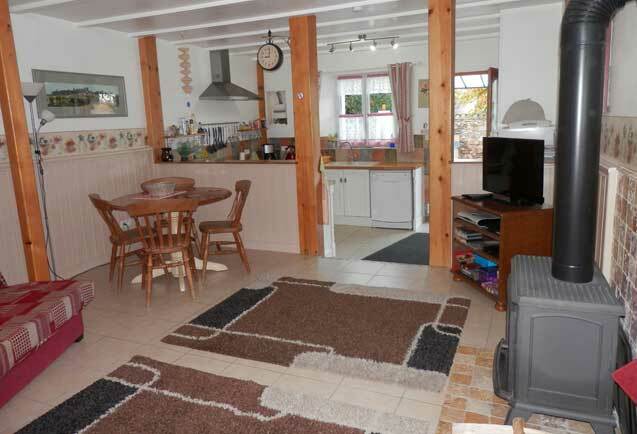 The gite is 80 sq mtrs over two floors. 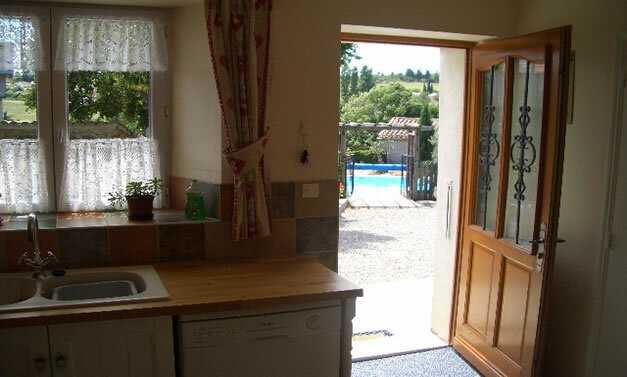 Upstairs there is a double bedroom with built in wardrobes and view to the swimming pool. 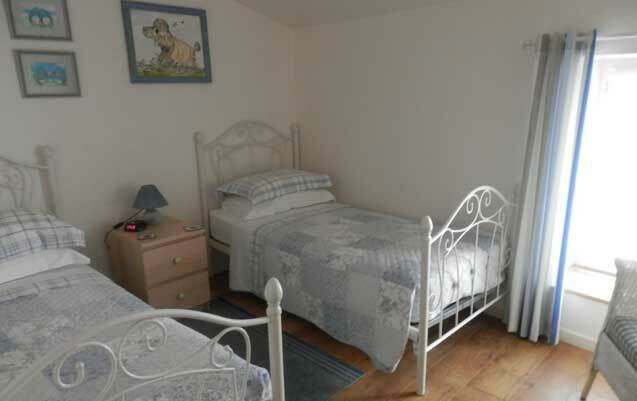 The second bedroom has two adult sized single beds and a built in wardrobe. 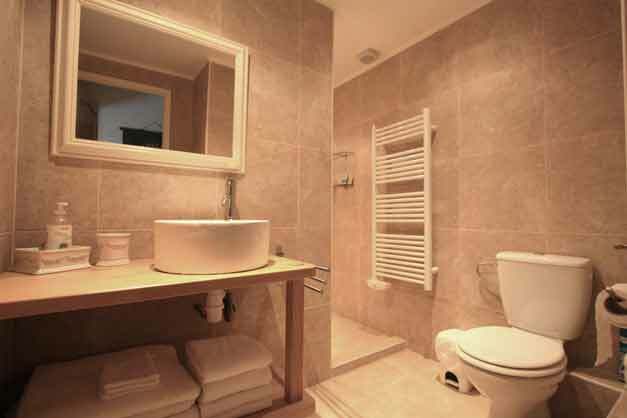 The luxury bathroom has a large walk in shower room, heated towel rail. 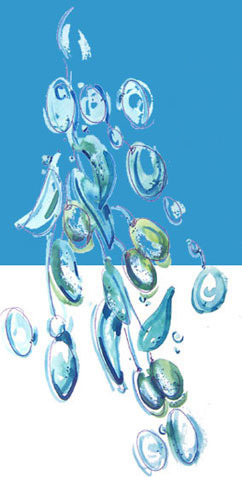 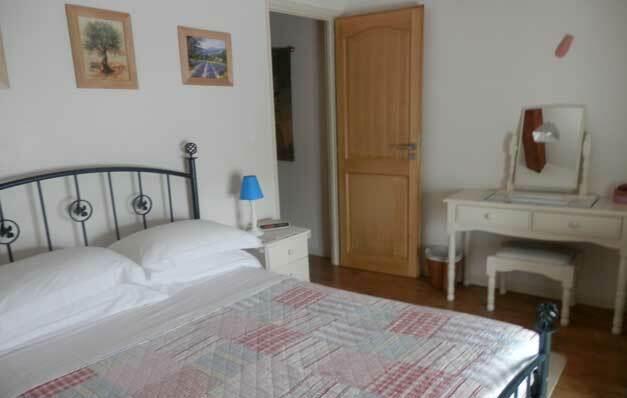 Bedding, linens and towels are supplied..
Downstairs there is a lounge dining area with wood burning stove, table and chairs, two sofas and TV with English and French channels and DVD player. 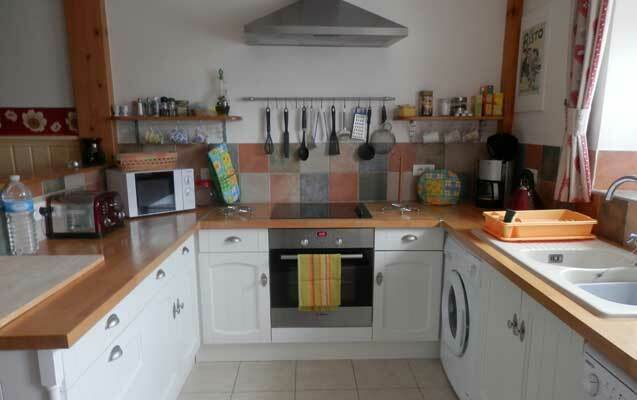 The fitted kitchen is fully equipped with washing machine, dishwasher, microwave and good size refrigerator freezer. 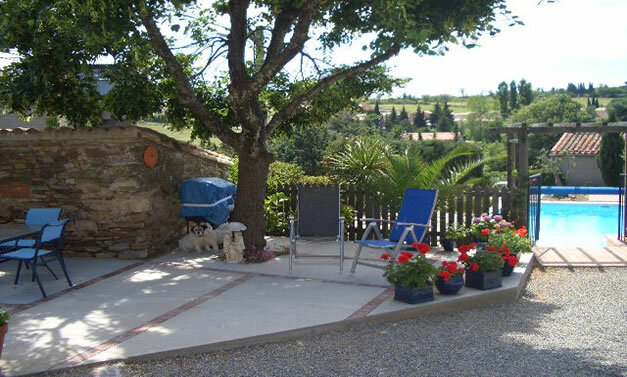 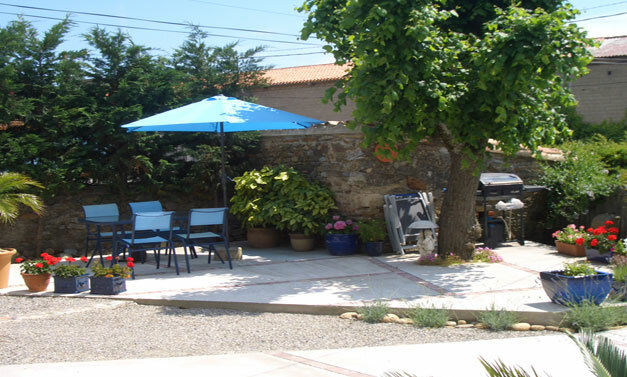 Outside the gite is a terraced area with table and chairs and a barbecue area.